Attaining a Master of Business Administration has never seemed more possible, accessible or convenient. All of South Florida’s largest MBA programs offer new ways to earn the degree that often serves as a steppingstone to the highest levels of management. There are new areas of emphasis within the current MBA programs, along with accelerated time frames, online options and experiential learning. What they all have in common is a strong leadership-training component designed to prepare students for elevated roles as business leaders. 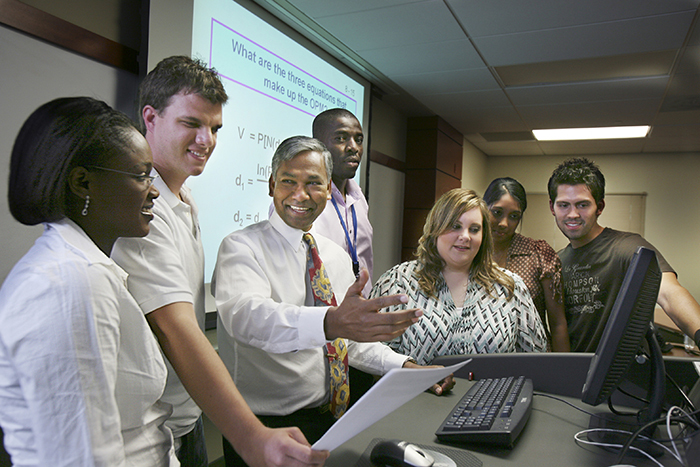 FAU’s MBA programs are built around three key pillars: Empower students with relevant education; Engage students to solve real business and societal problems; and have students transfer knowledge through Experience with faculty and the business community. These pillars are meant to serve as a foundation for transforming students into tomorrow’s leaders and to ensure a well-rounded knowledge base relevant to the current business climate. 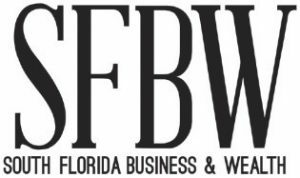 The Executive MBA at FAU takes about 23 months to acquire and has been ranked among the best in the nation by Bloomberg Businessweek. Its goal is to prepare participating professionals to assume leadership roles so that they, and their organizations, can maximize their investment in executive education. Five years of work/managerial experience is required to enter, although the average work experience of students is 12 years. Similarly, the Professional MBA at the university takes 23 months to acquire, however only four years of work experience is required to enter and the average work experience is seven years. No GRE or GMAT is required to enter the programs. FAU also offers MBAs in Hospitality Management and Sport Management, as well as an online MBA program and a flexible MBA program that allows students to register as full- or part-time. Designed for seasoned professionals who have already achieved significant business success, the Executive MBA (EMBA) program at FIU emphasizes global perspective and leadership skills. While there is no requirement to take the GRE or GMAT, students must have eight years of work experience before entering the 18-month program, which is held on alternating Saturdays and online. The experience was transformative for Lisa N. McGill, president and CEO of Executive One Consulting Solutions and president of the board of directors for the YWCA of Greater Miami-Dade. She graduated in August. FIU’s newest MBA is in Healthcare Management, a curriculum that is accredited by the Commission on Healthcare Management Education, overseen by Academic Director Miriam Weismann. While there is no GRE or GMAT requirement to enter, students must have four years of work experience to be eligible. The program, which has had three graduating classes so far, emphasizes the practical applications of the concepts and theories of management and business within health care settings. It places particular emphasis on critical thinking, self-development, communication and team-building skills, problem-solving competence and ethical leadership. The program’s innovative ex-periential learning components par-ticularly attract those already working in health care, Weismann says. FIU has partnered with West Kendall Baptist Hospital to provide students with actual health care dilemmas to solve using all of the skills they learn in classes. Yellow and Green Belt Six Sigma leadership training, which is highly attractive to most employers, is part of the program, Weissman notes. There is also an opportunity to acquire an Advanced Certificate in Global Healthcare Management. The online MBA degree program at Keiser University offers a unique, one-class-at-a-time approach to help busy professionals successfully balance the demands of work and school. In the program, students specialize in one of five areas: Accounting, Health Services Management, International Business, Leadership for Managers and Marketing. The curriculum is designed to help them gain an understanding of advanced business strategies, critical analysis skills and applied research methods through coursework in accounting, finance, management, ethics, marketing and quantitative methods. Graduates are distinguished by their ability to solve real-world business problems. This training greatly helped Nenad-Ned Djokic, group manager at Bloomingdale’s, gain important knowledge and advance in his career. Considered one of the top MBA programs in Florida, Lynn University takes a highly personalized and specialized approach to the degree. Designed to suit busy professionals looking to expand their existing skills, hallmarks of the program include the opportunity for highly motivated students to complete their studies in one year; a choice of seven specializations; and small class sizes with 10 to 15 students taught by accomplished business leaders. There is no requirement to take the GRE or GMAT for admission, and students receive an iPad mini pre-loaded with the textbooks and applications they will use throughout the program. Classes are both online and in person. Lynn recently announced a partnership with American College Dublin (ACD) to offer an online MBA degree program to Irish students. ACD students have access to Lynn University’s iPad-powered curriculum via iTunes U. Students can take up to half their required credits on Lynn’s courses, which provides them with a unique opportunity to learn and collaborate with U.S. students in the U.S. while remaining in Dublin. Obtaining an MBA was essential for Christine Buscarino, vice president of e-commerce marketing at Office Depot. Due to graduate in May from Lynn’s MBA program with a specialization in marketing, she has been working for Office Depot for 18 years and sees her new degree as key to her advancement. She also notes that the MBA qualification will help her realize her long-term goal of sitting on corporate boards. Buscarino notes that Lynn’s classes were highly flexible, which was ideal for her busy work schedule and family commitments. Offering 11 specializations within its MBA program, NSU’s H. Wayne Huizenga College School of Business and Entrepreneurship aims to provide high-level skills training to suit a range of career objectives. Flexible class formats allow students to take classes on days, evenings, weekends or online. The college’s roster of MBA choices includes the more typical ones, such as management and international business, but there are also unusual options – like entrepreneurship, process improvement, sport revenue generation, supply chain management and business intelligence and analytics. In fall 2015, the Huizenga College will launch what it terms The Real World MBA. The newly designed program is a result of faculty expertise working in collaboration with leaders and executives from top companies in South Florida and nationally. UM offers eight MBA degree options that range in acquisition length from 11 to 23 months. Of particular note is the Miami Executive MBA for the Americas, an innovative weekend MBA program uniquely focused on the challenges and opportunities faced by managers and organizations working in and with the Americas and its high-growth markets, particularly in Latin America. The 17-month program, delivered in a format that blends weekend on-campus sessions, held just once every two months, with distance learning, is designed for ambitious and accomplished individuals with significant business experience and strong potential for senior leadership positions. Also worth noting is the university’s Accelerated MBA in Real Estate, an 11-month program that is offered in tandem with internship opportunities. Bringing together the school’s strengths in management education with the strengths of the UM School of Architecture in new urbanism, the program is designed to prepare students to succeed in commercial real estate market careers. Companies that have provided internships include The Related Group, Swire Properties and Banyan Capital. There is also a Global Executive MBA in Spanish, a One-Year MBA program for those who have undergraduate business degrees, and an Executive MBA in Health Sector Management and Policy. ?